This development offers the following schemes: Help to Buy: Equity Loan - Move with just a 5% deposit using the HM Government-backed Help to Buy: Equity Loan schemePart Exchange - If the thought of selling your existing property is putting you off buying a new home then our Part Exchange service could be the solution for youHome Change - We'll help sell your house in 3 easy steps Schemes are available on selected plots only, subject to status, terms and conditions apply. Contact the development for latest information.Style Description The Rufford key features: Modern open plan kitchen/diner with French doors leading into the garden Spacious front aspect living room 3 generously-sized bedrooms Master bedroom with en suite Family-sized bathroom with new fixtures and fittings Handy storage cupboard off upstairs landing Integral garage with driveway and parking space Ground floor The welcoming porch area opens into the living room which then leads on to an inner hallway and downstairs cloakroom. The open plan kitchen/dining room offers a great space for everyday family dining with French doors leading to the rear garden. First floor The first floor features a handy storage cupboard, family bathroom and three well-proportioned bedrooms. The spacious master bedroom benefits from an en suite. Price is available subject to status, terms and conditions apply.RoomsGround FloorLiving Room (4.93 x 3.13 m)Kitchen/Dining (5.75 x 2.34 m)First FloorBedroom One (4.24 x 2.9 m)En Suite (2.09 x 1.42 m)Bedroom Two (3.43 x 2.66 m)Bedroom Three (3.0 x 2.41 m)Bathroom (2.67 x 1.73 m)SpecificationSpecification We are a national house builder with a local approach to building your new home. We will provide you with the specification appropriate to the locality of your selected new home and development and we will explain the choice of external materials used, for example your brick colour and roof tiles. You will be able to select certain elements of the fixtures and fittings encompassing the latest designs from leading manufacturers, subject to the stage of build of your chosen home. If you wish to further personalise your new home, an exciting range of options is available to purchase from our Finishing Touches scheme. Our experienced sales team is on hand to guide you through the choices available to you depending again on the stage of build. Quality Assured Your new home will be built in accordance with all relevant technical and building regulations, in particular the Government's Code for Sustainable Homes. In addition all stages of the construction of your new home will be inspected by our experienced construction staff. On completion of your new home we will provide you with a quality assured certificate for you to keep. 10-year NHBC (or equivalent) Warranty A 10-year warranty is provided with every new Persimmon Homes home. A comprehensive guide explaining the warranty will be supplied to you. We will ensure warranties provided by the manufacturers of appliances are honoured for the first year of occupation. Our Customer Care Department is on hand to offer you the necessary guidance and assistance.About Aykley WoodsFind your dream home at Aykley Woods Situated to the north of the historic city of Durham, Aykley Woods boasts an excellent location close to businesses, shops and all that Durham has to offer. 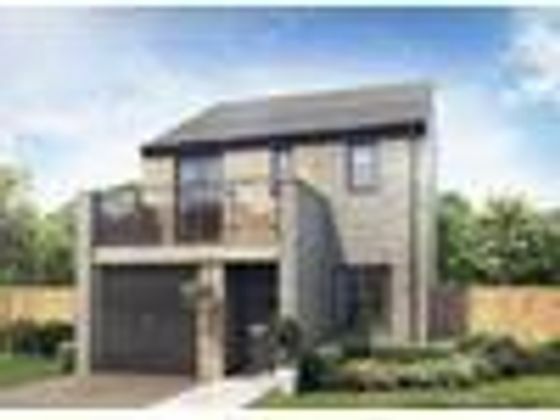 With a choice of apartments and three, four and five bedroom homes, this development is perfect for first time buyers through to growing families. Choice of apartments and 2,3,4 and 5 bedroom homesSituated in the historic city of DurhamExcellent transport linksClose to countryside Durham City is home to one of the most recognisable landmarks in the UK, the stunning Durham Cathedral. Alongside Durham Castle, this UNESCO World Heritage Site arguably creates one of the most beautiful views in the country. The historic city is filled with medieval architecture and with the River Wear running through, it really is a fantastic place to call home. Aykley Woods will benefit from Durham's excellent transport links and good choice of schooling, as well as one of the UK's top universities. To keep up-to-date with this fantastic new development arrange an appointment now.Opening HoursMonday 11am - 6pm, Tuesday Closed, Wednesday Closed, Thursday 11am - 6pm, Friday 11am - 6pm, Saturday 11am - 6pm, Sunday 11am - 6pmDisclaimerImages depict typical Persimmon Homes house type. All room dimensions are subject to /- 50mm tolerance. This information is for guidance only and does not form any part of any contract or constitute a warranty. All information correct at time of publication and is subject to change. Please check specification by contacting the development directly. Property advert Ref 4281830 - Is a property advert for marketing purposes only, the information has been supplied by the owner, estate agent or property portal and The House Shop makes no warranty as to the accuracy or completeness of the information. Furthermore we have no control over the adverts content. This property advertisement does not constitute property particulars. Please contact the advertiser to obtain any information regarding The Energy Performance Certificate regarding homes in England and Wales or Home Report for residential property in Scotland.